Let’s use public transit to get Voters to the polls! For years, cities and counties all across the United States have begun offering fare-free public transit on election dates to encourage voters to turnout and to remove one of the many indirect costs associated with voting. The upcoming November 7 election, featuring TSPLOST on the ballot, is the perfect opportunity for Athens-Clarke County to begin offering fare-free public transit on election days! An amazing return on an investment! Allowing voters to ride fare-free to polling locations on election day would cost the County a mere estimated $2,200 in fare-revenue. A small price to pay for an increased voter turnout in this important election where the county will decide the fate of a TSPLOST referendum that would bring in around $109 million dollars in revenue for transportation projects, including public transit. Last year, San Antonio’s VIA Metro system offered fare-free transit rides on an election day where the nearby municipality Castle Hills, TX had placed a referendum to cease funding VIA transit service in their town, even though hundreds of residents relied on the service. 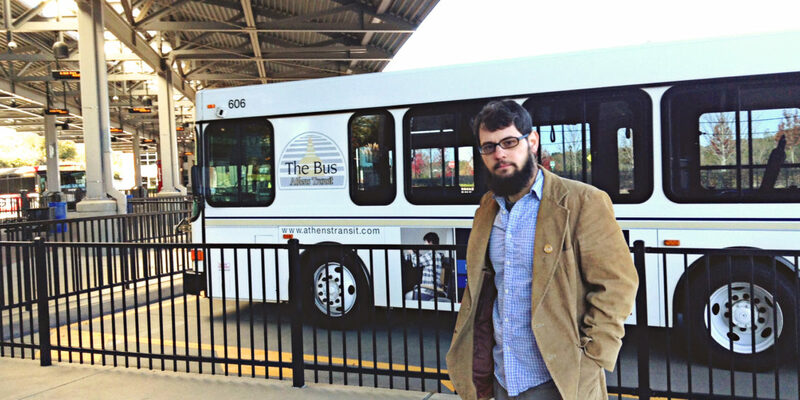 Those fare-free rides helped get transit users to the polls. The results of that election showed the referendum being defeated and VIA transit service to continue to be offered to Castle Hills residents. Let’s have Athens take every step it can to help people get to the polls. Let’s get ACCUG, Athens Transit, and the ACC Board of Elections working together and have Athens offer fare-free public transit on election day!